The 10 Best Omelets in Utah! 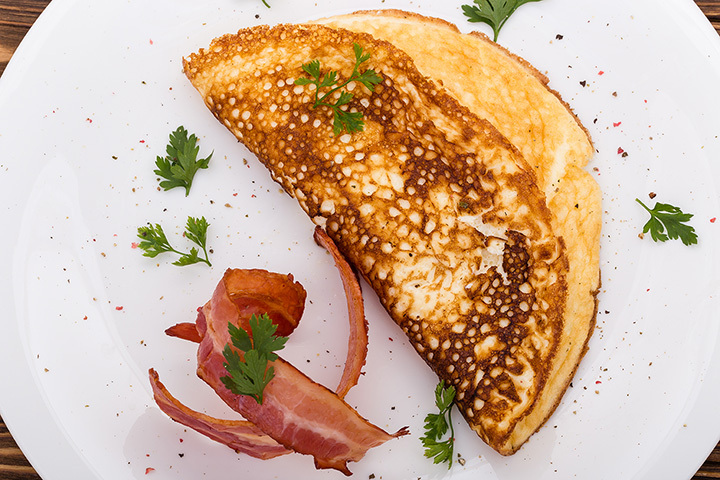 An omelet is one of the most versatile breakfast foods. A vehicle for vegetables, meat, and cheese, the omelet is hard not to like, and equally difficult to resist. If you’re looking for great breakfast joints in Utah that serve up killer omelets, you are in luck. Here are our 10 favorites! Serving something for everyone, Porcupine Pub and Grille has become a Utah establishment since its first location opened in 1998. A family-minded restaurant, the restaurant also appears to be omelet-minded, given that it whips up some deliciously simple omelets for its breakfast menu. The fan favorites? The Southwestern and Greek omelets, both of which provide an interesting twist on a traditional breakfast item. A Southern-inspired breakfast joint in Orem, Utah, Joe’s Café is best known for its “Slap Ya Mama Southern Seasoning.” But don’t worry, the only kick you’ll be getting is a kick of flavor you’ll get from one of their omelets. And although the chili cheese omelet isn’t for the faint of heart, it will keep you full for hours. Although Hub & Spoke is certainly diner-inspired, its fare is a lot more gourmet than its name suggests. Case in point: the Salt Lake omelet, which combines house-made porchetta, pickled red peppers, caramelized onion, and cheddar into a fluffy eggy creation made with foodies in mind. With 30 years of experience under its belt, the Belgian Waffle and Omelet Inn sells pretty much any variation of a Belgian waffle or omelet that you could imagine. With a bustling breakfast ambience and a billion mix-ins to choose from, the restaurant really does your omelet (and Belgian waffle) exactly as it should be done. Omelets can be somewhat predictable, though this is not the case at Finn’s Cafe. Inspired by traditional Scandinavian flavors and ingredients, the omelets at Finn’s Cafe are incredibly fresh and healthy. If you go in the summertime, you can enjoy your omelet while sitting on the cafe’s outdoor patio. Known for its out-of-this-world cinnamon rolls, Straw Market is one of Salt Lake City’s hidden gems. But the restaurant’s number one hidden gem? Their omelet selection, which features simple omelets at extremely affordable prices. Owned by a Greek family, the Other Place serves up home-style Greek food in addition to classic American dishes. The restaurant functions like a traditional diner, even to the point where the portions sizes are just as wild as the actual food itself. If you’re looking for a king-sized omelet and maybe even some ice cream after, this is your place. Located within one of Salt Lake City’s premier hotels, the Little America Coffee Shop is a clean and cute cafe with classy meal options at any time of day. If you miss traditional breakfast hours, don’t sweat it: the coffee shop serves breakfast all day. All menu items—including the omelets—are prepared from scratch and delivered quickly, so that you don’t have to worry about eating a cold egg soufflé. One of the state’s hippest breakfast spots, Herm’s Inn caters to a happening crowd of students in this mountainside college town. The “Aggie Omelette” (named for Utah State University’s mascot) features blue cheese, bacon, and tomato, while the “Fiesta Omelette” combines chorizo, pepper jack cheese, and onions. Served with your choice of carb, the omelets can also be made with egg whites. Just minutes from Arches National Park, Jailhouse Cafe is a breakfast hotspot for Moab locals and tourists alike. And while the cafe serves traditional breakfast items, it also introduces its customers to interesting flavor combinations, such as ginger pancakes with apple butter and Swedish pancakes with lingonberries. One menu item that remains more classic than others, however, is the omelet, which emerges fresh and crispy just before your big day exploring nearby slot canyons.